May the gospel go forth in this new nation. What an honor it is to be a part of what God is doing in this new nation! South Sudan has become the world’s newest nation, the climax of a process made possible by the 2005 peace deal that ended a long and bloody civil war. But the people clearly couldn’t wait. Two hours before midnight and lines of cars zoomed around town packed with people waving flags and waiting to celebrate. A sign read: “Congratulations, free at last, South Sudan.” But the people didn’t need to read the message – they were already dancing and leaping with happiness. “It is a shout of freedom,” said Alfred Tut, lifting his head back and screaming. 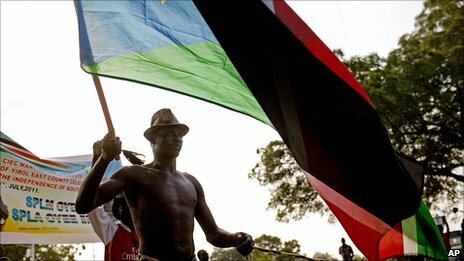 The BBC’s Will Ross in Juba says the new country’s problems are being put aside for the night, and there is an air of great jubilation. People are in the streets, cheering, waving South Sudan flags, banging drums and chanting the name of President Salva Kiir Mayardit, he adds. The Speaker of the South Sudan Legislative Assembly, James Wani Igga, is expected to read out the Proclamation of the Independence of South Sudan at 1145 (0845 GMT). Minutes later Sudan’s national flag will be lowered and the new flag of South Sudan will be raised. In addition to Mr Bashir and Mr Ban, attendees will include former US Secretary of State Colin Powell, the US permanent representative to the UN, Susan Rice, and the head of the US military’s Africa Command, Gen Carter Ham. 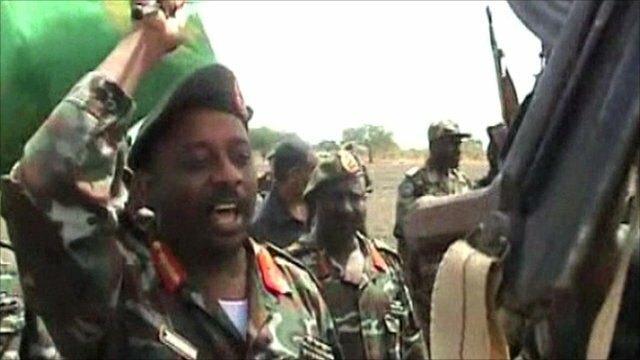 On Friday, Sudan’s Minister of Presidential Affairs, Bakri Hassan Saleh, announced that it recognised “the Republic of South Sudan as an independent state, according to the borders existing on 1 January 1956”, when Sudan gained independence from Britain. The UN Security Council has passed a resolution approving a new 7,000-strong peacekeeping force for South Sudan – but this is basically a rebranding of the force which was already in Sudan, mostly in the south.